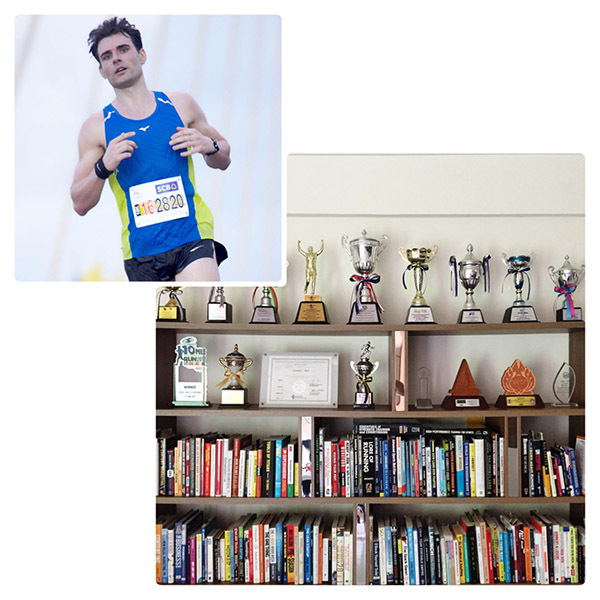 Running metrics provide valuable feedback to make informed decisions for training and racing. Although it is possible for experienced athletes to nail the right training intensities by feel, most of us are better off looking at hard data. And yet, the biofeedback available to us these days can be overwhelming. In this article, I discuss which tools are the most valuable and how to get most out of them. If there’s only one metric you measure, it should be running pace. Based on a recent race result of yours, it is quite easy to calculate your training pace from sprint repetitions to recovery runs. Most solid training plans include a pace chart so you don’t need to do the math yourself. Invest in a running watch as a smartphone is difficult to check and operate during a running session. Heart rate monitoring is optional but I highly recommend using it to control your easy runs and long runs. In fact, it should be your primary tool to observe your aerobic intensities (<75% of VO2max). On hot summer days, for instance, your easy pace may be slower as your heart works harder to cool your body by sending blood to the skin. Hence, heart rate reflects your intensity more accurately. If you happen to use a GPS watch with advanced running metrics you will be able to track cadence, ground contact time, and vertical oscillation. All three provide valuable feedback for your running mechanics, and therefore running efficiency. Cadence can be monitored in real time and keeping an eye on it during your run can prevent overstriding. Roughly 180 steps/minute is ideal. If you want to take this a step further, use a power meter. It is an invention that has only recently found its way from cycling to running. A power meter measures your stride power. This tool can be paired with most advanced running watches and works great in unison with pace, heart rate monitoring, or both. Although not quite easy to use and analyze, it is well worth the effort. Your running pace provides valuable feedback about your strong points as well as any potential weak links. 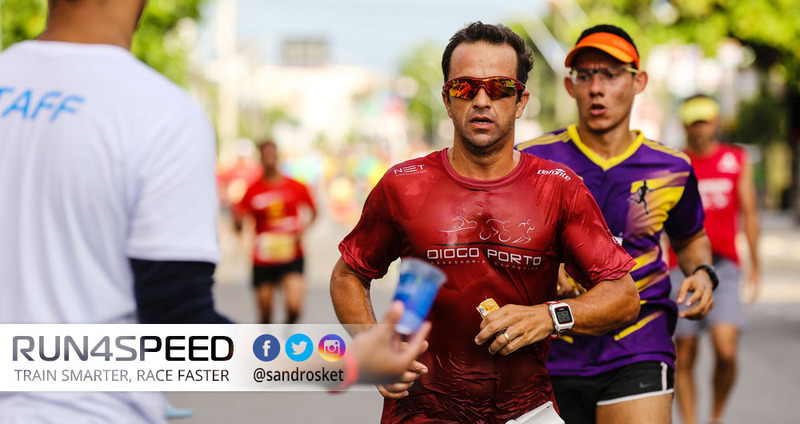 For example, you could excel at sprint repetitions and long runs but lack the specific endurance for the 10K or half marathon. Hence, you would have to emphasize tempo runs and long VO2max intervals to iron out the imbalance of speed, endurance, and specific endurance. Your heart rate should be your primary metric to monitor all of your easy runs and recovery runs. Use the Karvonen method to calculate your aerobic zone (60 – 75% of VO2max). 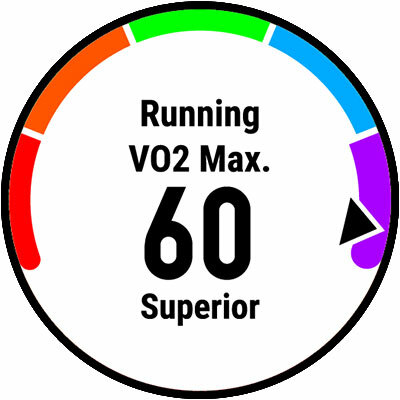 Any intensity below 60% of VO2max is too slow to trigger significant adaptations and anything above 75% of VO2max crosses the lactate threshold and therefore fails the purpose of easy runs. Advanced metrics like cadence, ground contact time and vertical oscillation, are important to analyze post workout. For instance, a relatively long ground contact time is an indicator that your neuromuscular fitness needs attention. Vertical oscillation, by contrast, is closely knit with your running economy. The best approach is to compare this data with previous runs. Finally, there’s the power meter. This device monitors your stride power over different intensities. 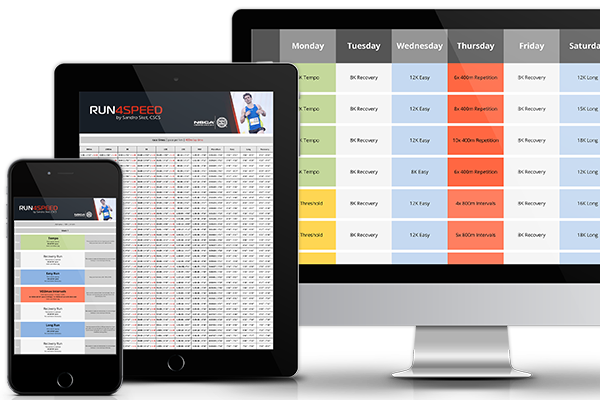 Many athletes use this as their primary tool to monitor their runs. Also, it can be used alongside a heart rate monitor so you will get an accurate picture of how much energy is needed to power your stride. I will dedicate an article on power meters soon. In summary: At the minimum, you should be wearing a GPS watch with an inbuilt heart rate monitor. That is sufficient to carry out smart training at the right target intensities. But I recommend taking it a step further using all the metrics available to us today, which include feedback on running economy. The more you know, the better your training decisions.